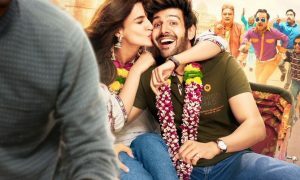 Kartik Aaryan starrer Sonu Ke Titu Ki Sweety is the movie everyone is currently talking about in Bollywood. 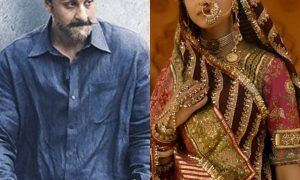 The film has proved to be a super hit at the box-office and is also doing the numbers, giving some of the big budget films a tough competition. Kartik Aaryan has shined in this movie giving the boys some major friendship goals in the film and the girls are left drooling over his body which he has flaunted (a lot) in the movie. It would be safe to say that he has become nation’s new heart-throb. No wonder that the actor got a warm welcome amidst the audience post the success of the film which turned out to be quite a crazy experience for the actor. In its second week, Kartik Aaryan decided to watch the film with his family and close friends in a single screen theatre in Gaiety-Galaxy cinema in Khar. The actor thought it will be a great idea to watch the film amidst the audience and learn about their reactions to the film. He wanted to keep it low and make sure that there is not too much ruckus created in the theatre which is surely packed over the weekends. However, when a fan spotted Kartik Aaryan, news spread like a wildfire across the theatre. Everyone rushed and hurried to meet the new superstar and click selfies with him. Kartik was surely amazed by receiving so much love and warmth from his fans and everyone praising his role in the film. But the crowd soon got out of control and went berserk watching their ever-smiling-actor posing with fans and didn’t allow him to pass through them. Soon the roads nearby were clogged by heavy traffic and Kartik couldn’t move a bit. The actor was mobbed and eight security guards were called to his rescue. Well, we must say that with success comes the small amount of chaos, but we can say that the actor can handle it and is surely enjoying it.